FEED & ECOMATCHER.COM to Connect Companies to Causes | FEED, Inc.
24 February 2017, Makati. “ECOMATCHER”, a Hong Kong limited company, and FEED signed a cooperation agreement to further expand their tree-planting and sustainability advocacies to companies through the ECOMATCHER.COM platform, which provides companies with the means to use sustainability causes in a digital way as a meaningful and transparent alternative to corporate gifting, employee engagement and customer loyalty programs. The agreement was signed by FEED President Ofelia Bakker-Mananquil and Bas Fransen, ECOMATCHER CEO, witnessed by FEED Chairman Jacob Bakker, VP Operations Diane Penales and Director of Partnerships, Anne-Marie Mananquil Bakker. It is thanks to FEED Friend & Patron Gina Reyes-Richter, Creative Director for Eco-Matcher.com, also a long-time friend practically family of FEED Founders, who earlier in 2016 introduced FEED’s Director of Partnerships, Anne-Marie Mananquil Bakker to the Founder of Eco-Matcher Mr. Bas Fransen. Through various dialogues and due diligence, the twain finally met. EcoMatcher offers fully vetted causes in DCUs or “Digital Cause Units”. A DCU can be, for example, a unique newly planted tree. The platform can also define DCUs for causes companies already work with. Through digital technologies, EcoMatcher enables companies to use these DCUs for various customer and employee loyalty programs such as corporate gifting. Technologies and features are continuously added. Causes will be added to offer companies choice of multiple causes. For corporate gifting, EcoMatcher enables companies and individuals to send customised emails to others. Each email has a unique link to the cause selected. With that link, the client is able to track the cause and share the experience through social media channels, just by the click of a button. 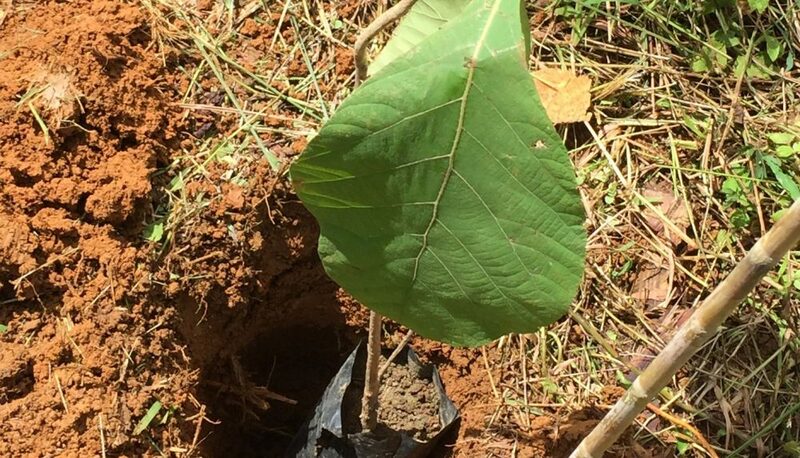 Compared to the usual premiums such as a plastic pen, a cause such as a newly planted tree, has numerous powerful advantages. EcoMatcher’s B2B platform offers companies meaningful solutions addressing CSR at minimum costs with maximum returns. FEED intends to also make available certain statistical data, data analysis and estimates related to carbon (CO2) capture registered from this collaborative effort in order to provide the platform clients with measurable progress on the impacts of their sustainability causes. See: https://www.ecomatcher.com or for any queries, contact: info@feed.org.ph or call/text +63 (0)917 552 4722.